Most Americans are ill-informed, dis-informed, and uninformed easy marks to be fooled time and again – no matter how many previous times they were duped. They’re victims of falsified state narratives and scoundrel media propaganda repeating it, along with what the late Gore Vidal and Studs Terkel called the United States of amnesia, real information on vital issues passing through their minds like water through a sieve – understanding something today, erased from their memory later on. Polls when conducted well can be revealing. Key is choosing a well-defined universe, using a statistically accurate methodology, wording questions properly for clear understanding, asking them in the right order, and taking great pains to avoid bias. So-called man-on-the-street interviews used by some news organizations are worthless and deceptive because proper methodology isn’t used. Comments by individuals briefly interviewed signify nothing but their views, unrelated to the general consensus. Gallup, Inc. has been conducting public opinion polls since 1935, currently operating in America and abroad in many countries. Days before Putin/Trump summit talks, Gallup polling revealed 40% of Republicans view Russia as a US ally or friendly – compared to 22% in 2014 during Obama’s tenure. Only 25% of Dems hold the same positive view – compared to 28% in 2014. Among all Americans, 31% say Russia is an ally or friendly to the US. Overall in 2014, 26% of Americans said Russia is an ally or friendly to the US. 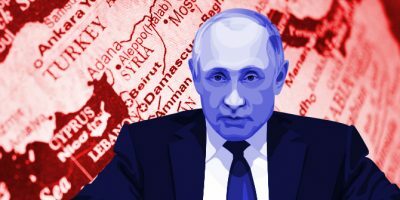 Throughout its post-Soviet history since December 1991, the Russian Federation never attacked another country or threatened belligerent confrontation against anyone – actions America does repeatedly, currently at war in multiple theaters against invented enemies. Russia champions world peace and stability. America is perpetually at war at home and abroad, peace and stability considered anathema notions. A post-Helsinki CBS News poll showed only 32% of Americans approve how Trump handled summit talks with Putin, despite knowing little or nothing about what was discussed or agreed on – other than what’s fed them by media scoundrels hostile to both leaders. Over two-thirds of Americans polled (70%) believe falsified US intelligence claims that Russia interfered in the nation’s political process – despite not a shred of evidence proving it. Most Americans feel Trump is too friendly toward Russia, getting along with the country considered a negative, not a positive based on this data. Nearly four in 10 Americans feel less confident about Trump standing up for US interests, largely reflecting the view of Dems. Republicans are more confident or feel about the same as pre-summit. Overall, Republicans are more positive about Russia than Dems. Over 60% of Americans fear Russian interference in upcoming November midterm elections, despite no evidence suggesting it. Americans are mixed on how Washington should engage with Russia. Slightly more than 50% favor pressure over dialogue and cooperation. Americans are influenced by their sources of information. Most are brainwashed to believe utter rubbish they’re fed by scoundrel media print and electronic media. Opinion polls consistently show it. An uninformed electorate is easily manipulated to believe most anything they’re fed repeatedly – no matter how egregiously untrue.